The very first set of GHD’s I owned were in a special edition glossy purple, I still remember unwrapping them on Christmas Day and actually screaming out loud! Maybe it’s an age thing but back then owning GHD’s was pretty rare and I felt very very fancy. Over the years I have invested in a few pairs and although I’ve tried other brands, they have just never been as good as my trusty GHD’s. They are one of the few brands I can honestly say I am loyal to and for a beauty blogger, that is pretty rare! 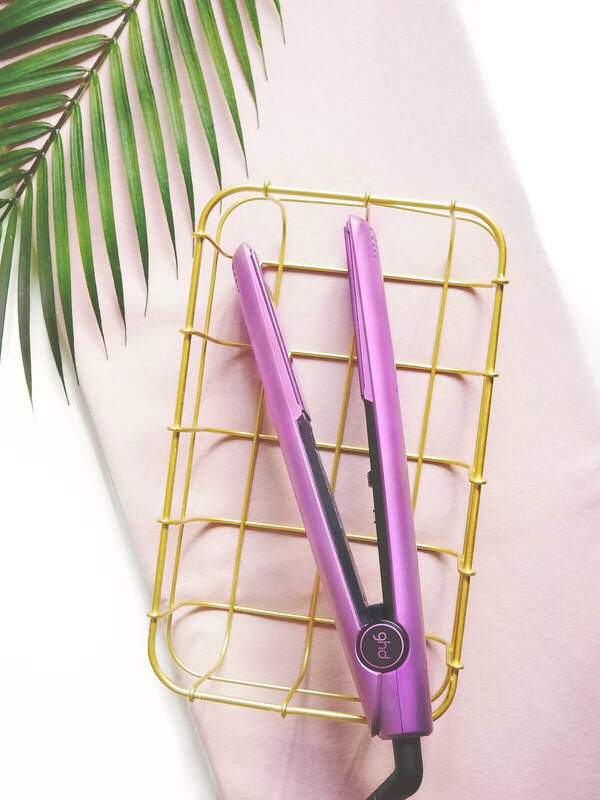 When the lovely people at GHD told me they had released a special edition purple styler for their 16th birthday I couldn’t help but smile (and then realise that means I am very old!) The original styler is perfect for smoothing out your hair, adding beachy waves or for just adding in some flicks for a bit of bounce. If you haven’t ever tried GHD’s then this now is the perfect time to invest in some, it’s great to support British brands and I really don’t know what I’d do without mine. The special edition purple styler* costs £109 and is available here. I love my GHDs bit I think I’m in need of an upgrade! I would totally go for the purple ones! Wow I can’t believe it’s been 16 years! I love my ghds so much! Wow what a pretty colour , I swear by GHD’s and have purchased afew over the years I would love this purple one. Happy 16th Birthday GHD! Purple is such a cool color as pictured. How cool for them to be around for a long time. Wow 16??? This makes me feel old! I love these purple GHDs!